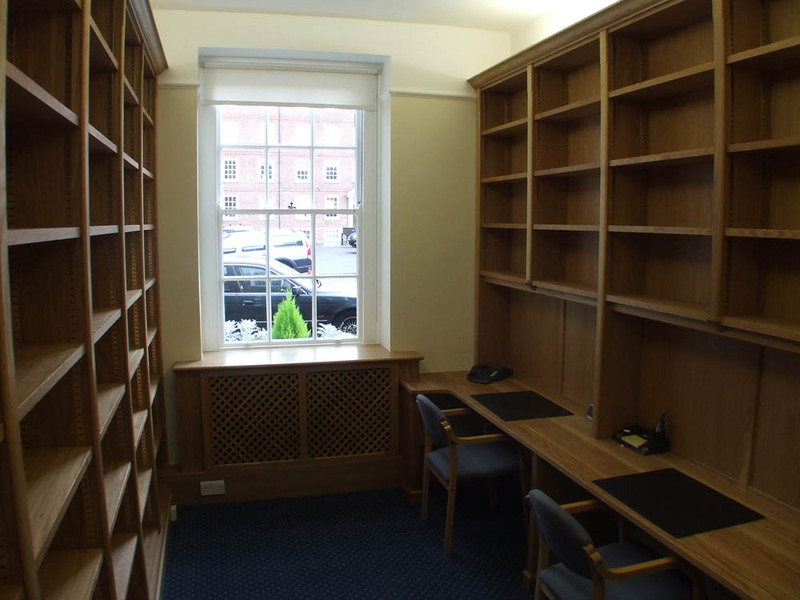 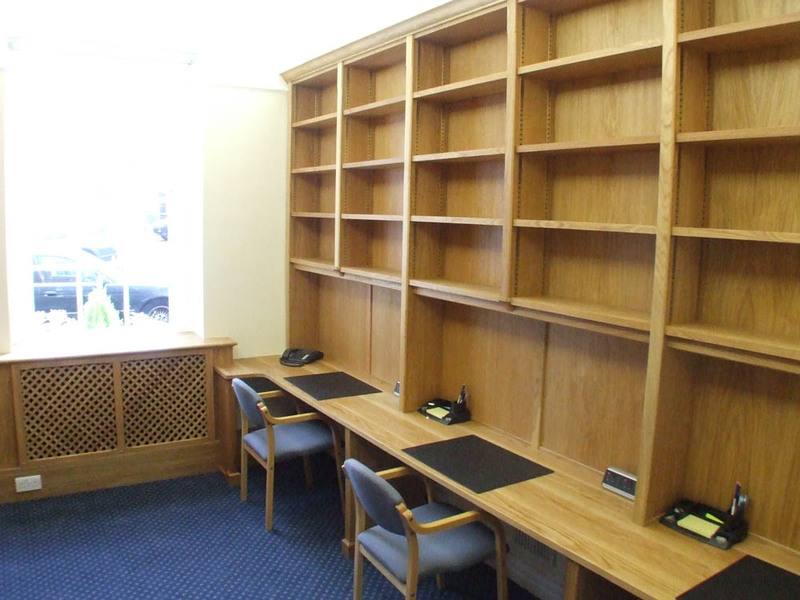 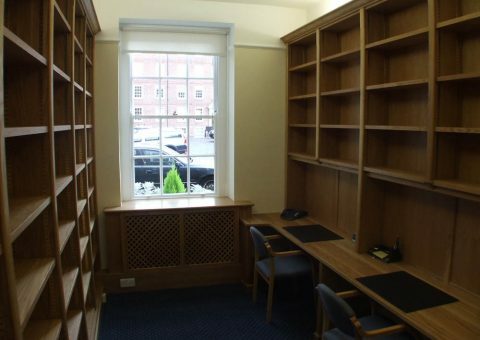 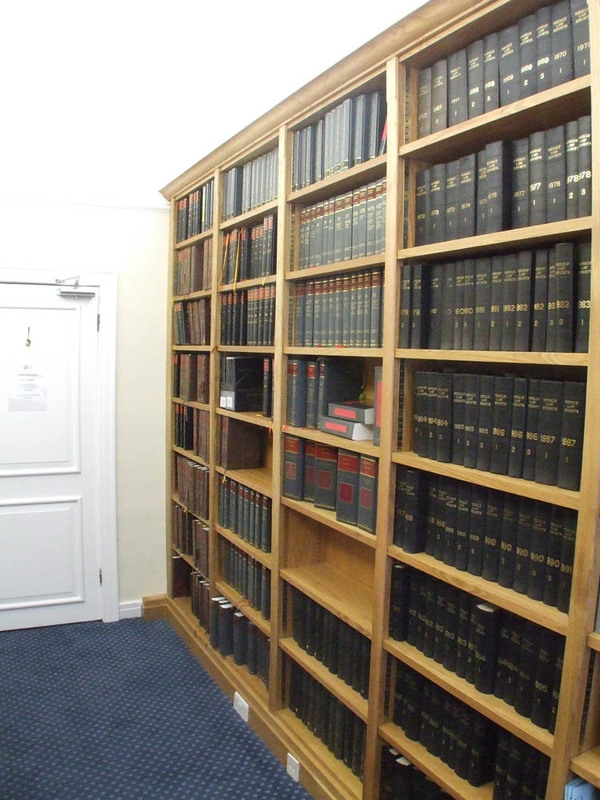 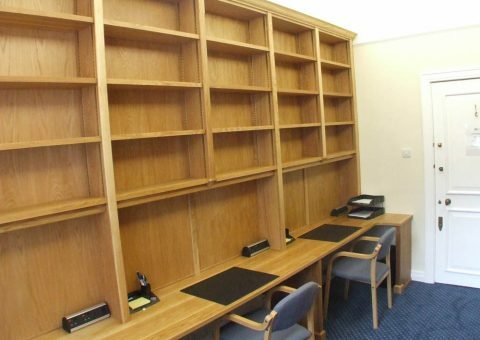 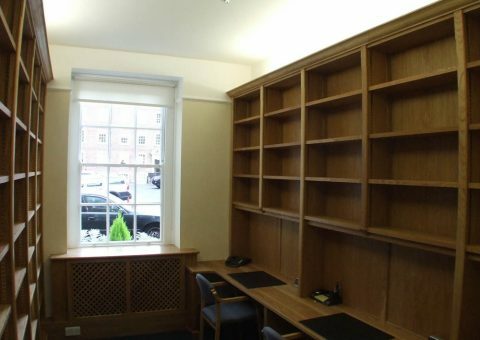 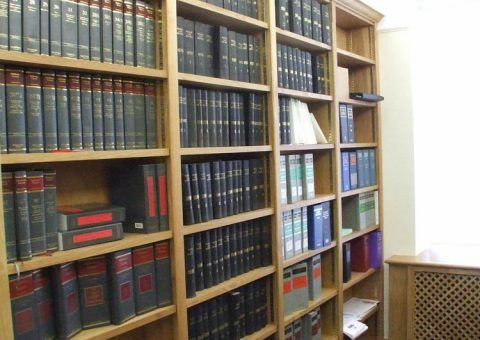 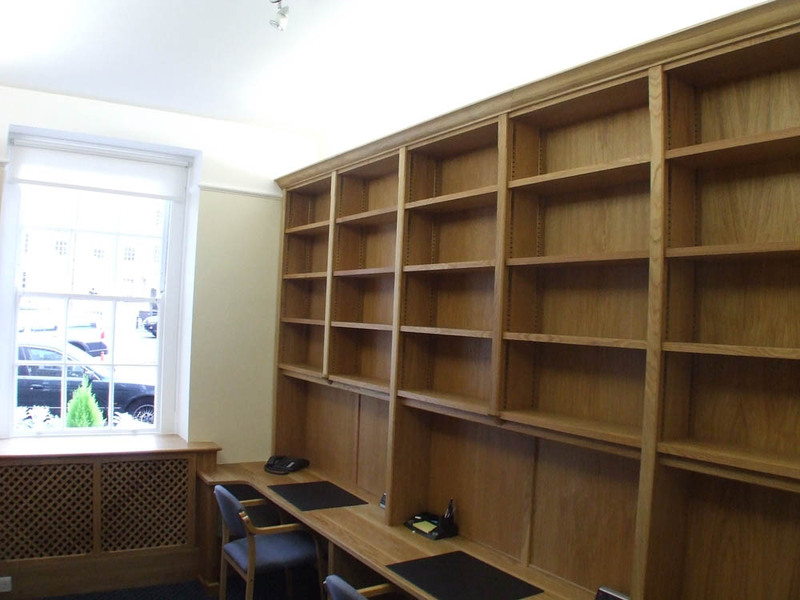 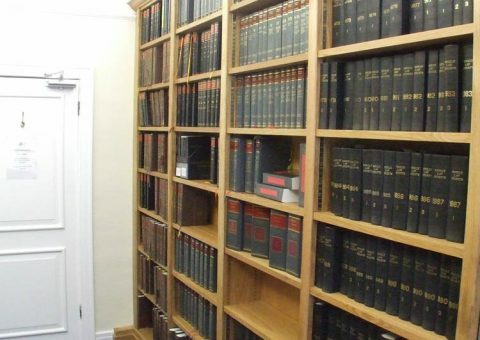 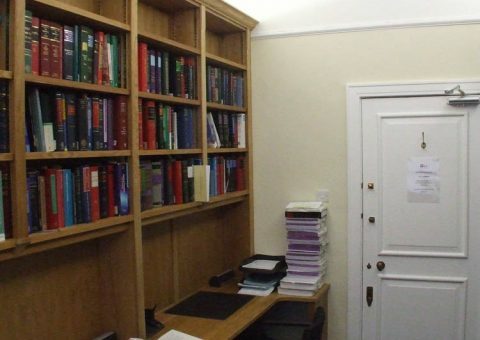 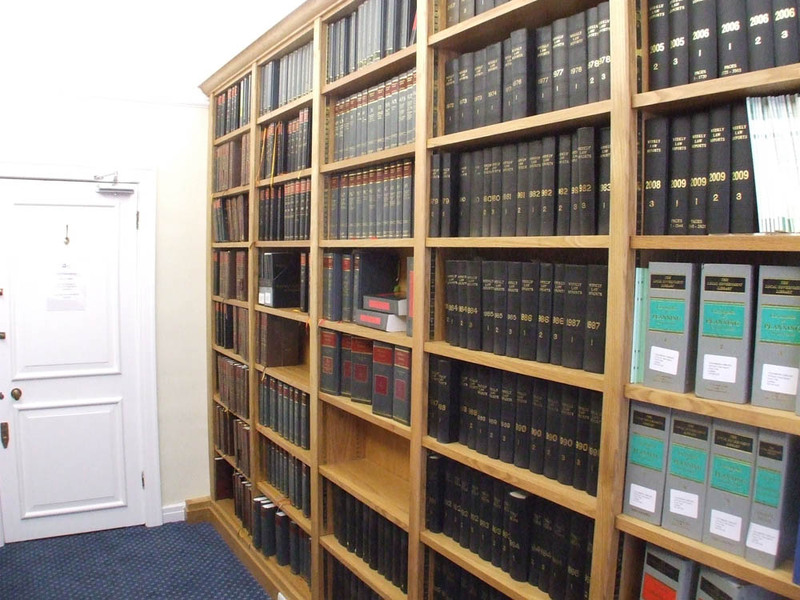 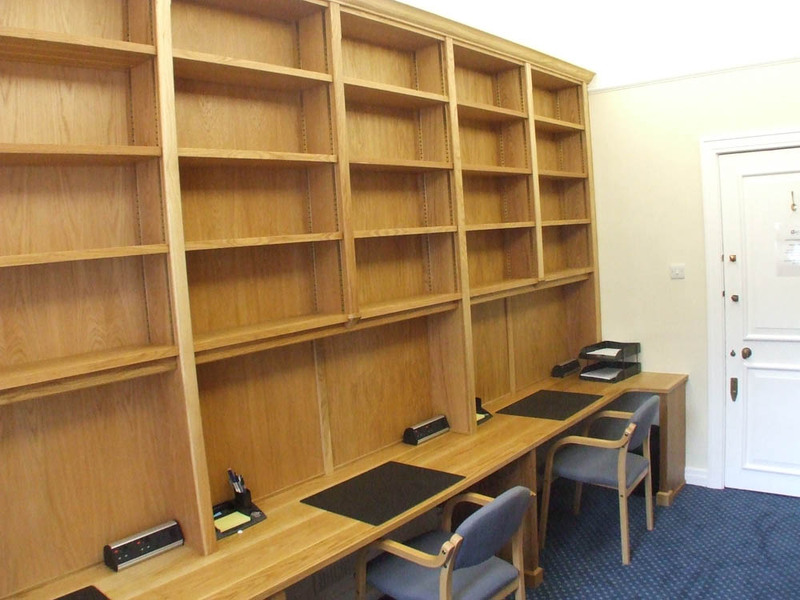 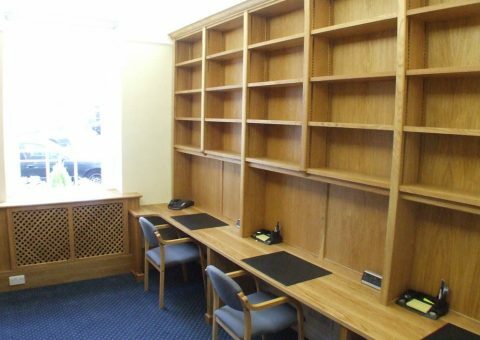 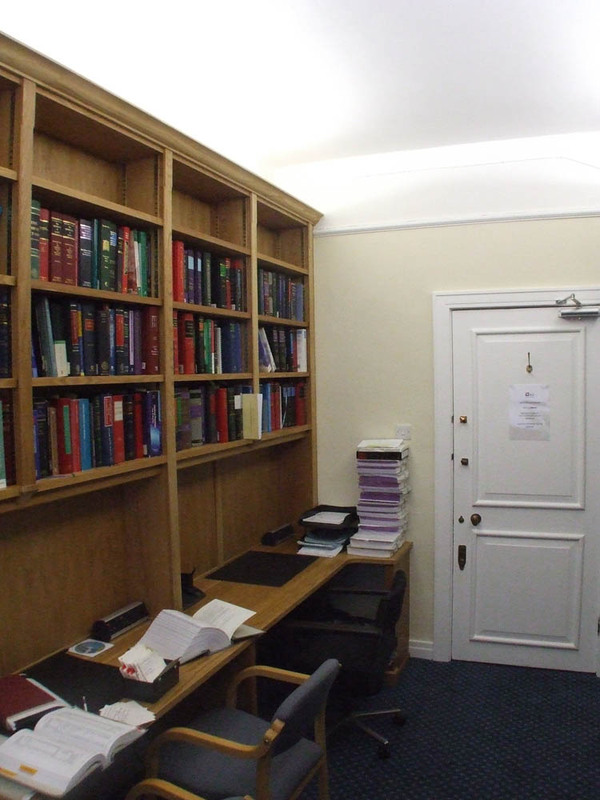 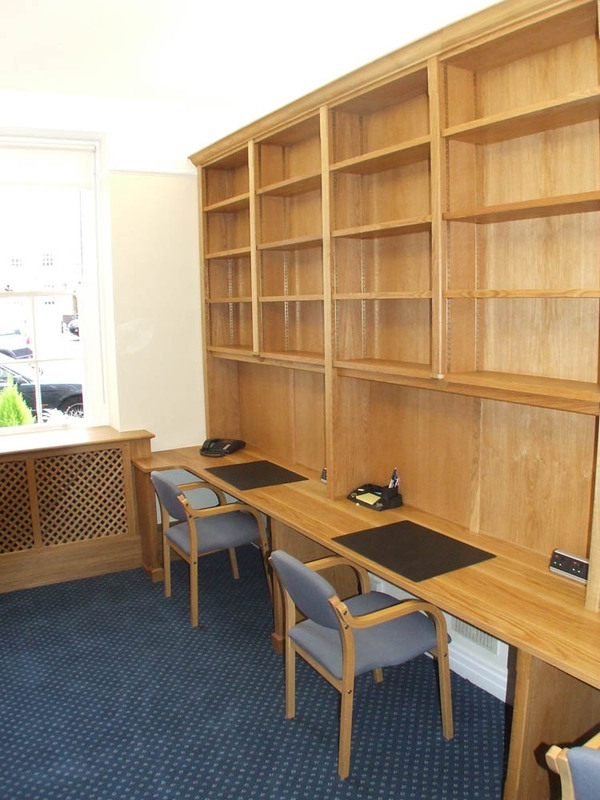 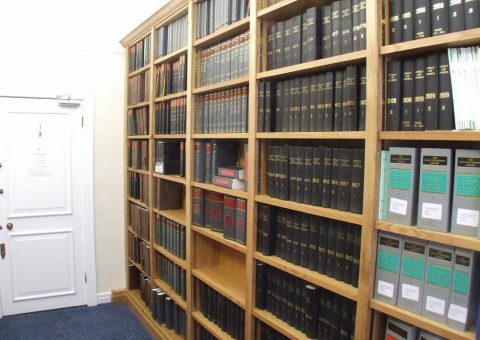 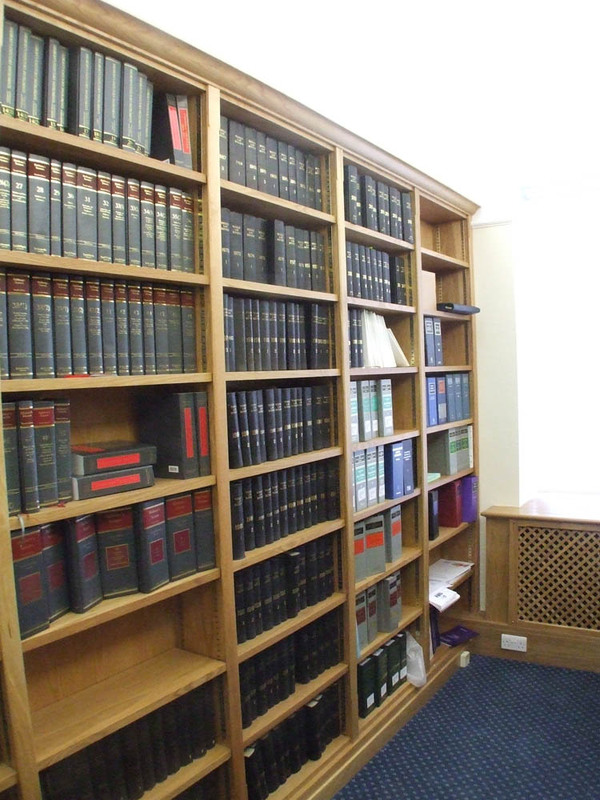 Made from solid and veneered oak, and finished with a hard-wearing wax, this library is fitted into one of the barristers chambers in Gray’s Inn Square. 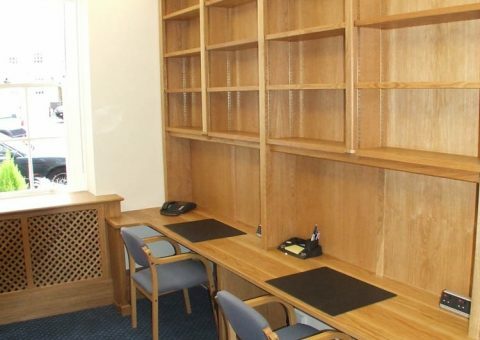 You will see that there is a radiator cover at the far end, made from oak slats glued together. 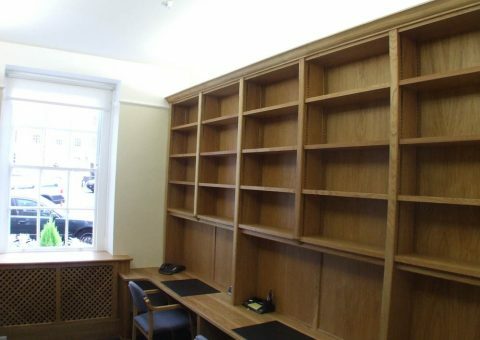 The upper shelves are adjustable by moving the small brass tabs in the track.